Join us on a winter tour! 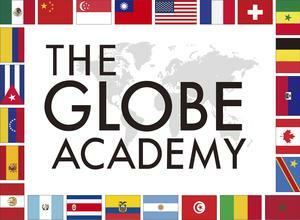 GLOBE students participate in HIGH SCHOOL poetry competition! 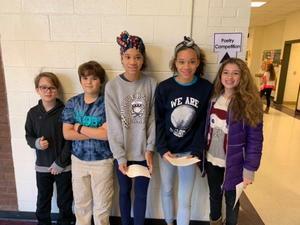 GLOBE students in 5th and 7th grade competed against Middle Schoolers and High Schoolers from all over Georgia in East Coweta High School's annual poetry competition! GLOBE Upper Campus Becomes Ellis Island! 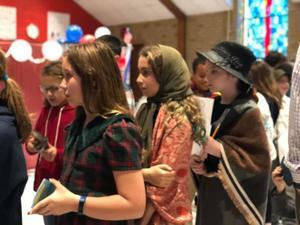 GLOBE 5th graders participate in the Ellis Island Experience to try to understand the perspective of an immigrant coming to America. 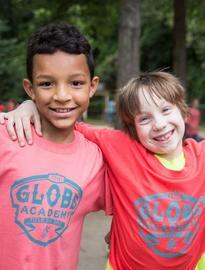 GLOBE Trots to the TOP! 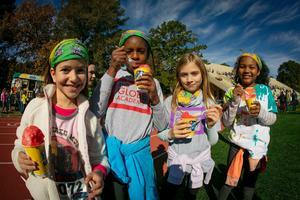 GLOBE's Annual GLOBE Trot rasied $119,703! At GLOBE, we are so proud of our Upper Campus students who are taking part in the “Choose Love” movement by Jesse Lewis. Calling all Artists, Crafters, & Bakers! Reserve a booth at the first annual Makers Market & Vendor Fair! 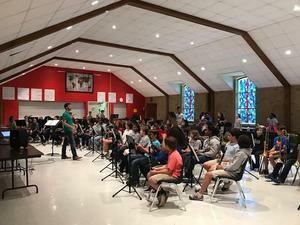 In early October, GLOBE's amazing music teaching team brought GLOBE's 183 chorus, band and orchestra students together for a night of mentorship, music, fun, and community building!